Bloowatch has a solution for all so that they save time and offer a better service. 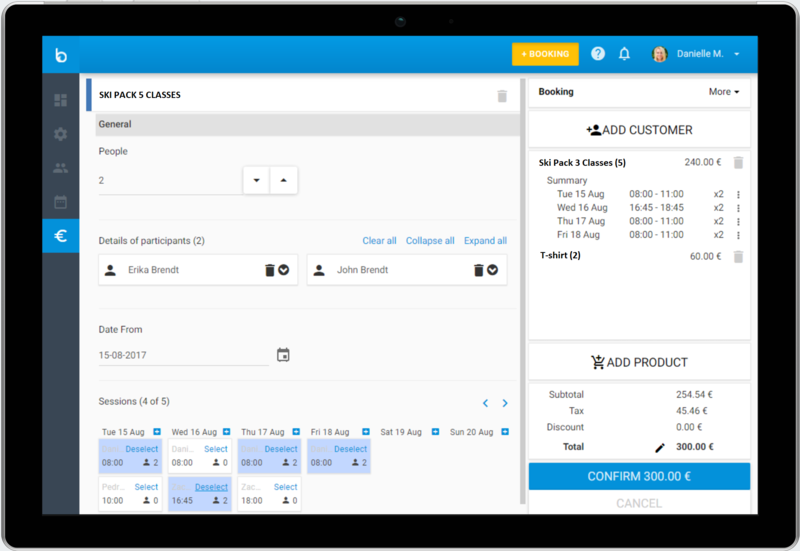 Easily control the planning of staff, activities and rentals, and manage your customers. Weather forecasts are integrated in the app so that you can access everything you need in a few clicks. Consult your business data, let your staff access their planning, or respond to customers... from the computer, tablet or smartphone. Now you can manage your activity from the school, or anywhere! From our specialized interface you can register a booking in just a few clicks from computer or mobile devices. Immediately respond to enquiry and close the sale before it's gone. The Bloowatch App is really about making sure any booking request can be confirmed from the first contact. Whether you are at the school or away, you will be able to register your booking from your mobile device, process payment and send confirmation receipts. And re-access the data from anywhere, at any time. 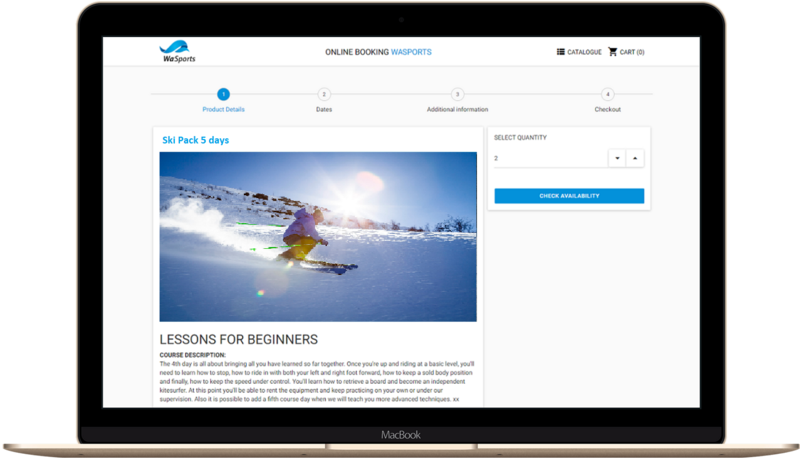 Allow customers to book from your own website and fill up your slots while you are away! Bloowatch's booking engine and payment gateway save you time and money, while opening the door to more customers. Register multiple payments from the web or mobile app. The system will send automatic emails as confirmation or cancellation for more efficiency. Get the reports to follow up on the accounting. 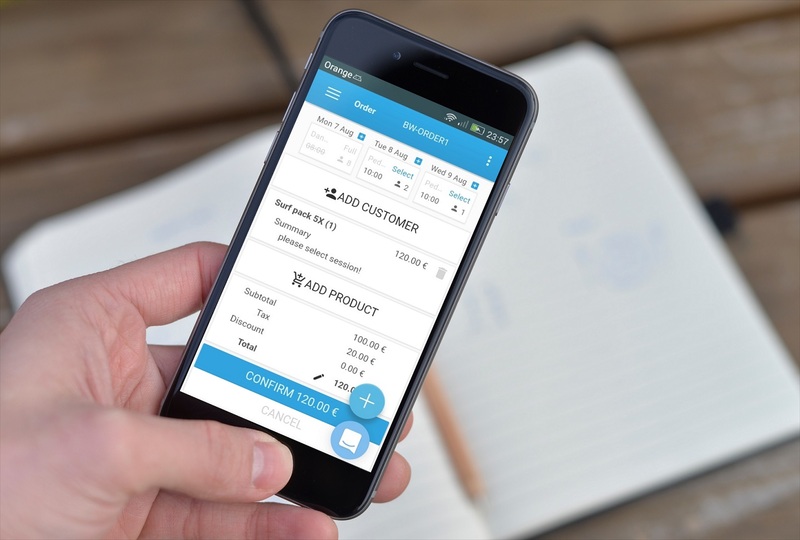 Track your clients, bookings and payments receipts to better understands the performance of your business. Get the reports to follow up on the accounting. Build your client database so that you directly engage with them in your marketing and loyalty campaigns and ultimately bring more sales. Copyright © 2018 Bloowatch. All rights reserved.